The running joke around RCC for a long time has been that many parents attend Sunday morning because their kids dragged them to church! It’s true, we have a pretty amazing program for your kids where they will have fun, learn about God and find themselves in a safe and caring environment. 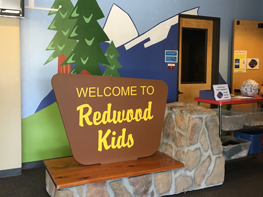 From the moment you enter through the Redwood Kids doors, we hoped you sense that Redwood Covenant loves kids. In fact, we think they are the most important people in the world. The number one question we get asked is, “Do you teach the Bible?” to which we always reply, “No, we use the Bible to teach Joy!” Our strength as a ministry is found in the joy of the Lord. You see, we learned a long time ago that turning children into miniature Bible scholars does not guarantee later success in life. A child’s scholarly knowledge does not mean they will turn out to be better adults. What will make a difference is a joy-filled encounter with, and a love for, the Living God. From their earliest years, our goal is the same as yours. We partner with parents to create within your child a desire to enjoy learning about their creator and to enjoy God’s love. Because we believe that it’s better to grow a child than to fix an adult, we want to give them the best spiritual start that we can. We’re here to help you grow your little seedlings into spiritual Redwoods. 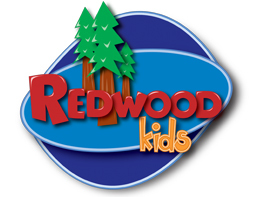 Redwood trees have roots that do not penetrate the hard rock they grow on. To compensate, they send out their roots in a wide pattern and entwine them with nearby trees. That gives them the stability they need to weather storms. That’s what Redwood Kids does. We entwine your child’s roots with friends and nurturing volunteers who all share the joy Christ brings. So when those storms in life come, they hold each other up, offering strong support. Scripture contains the nutrients to help them grow those strong roots. So we give them plenty of it. But learning accomplishes nothing unless it brings joy.